A History of Roman Art provides a wide-ranging survey of the subject from the founding of Rome to the rule of Rome's first Christian emperor, Constantine. 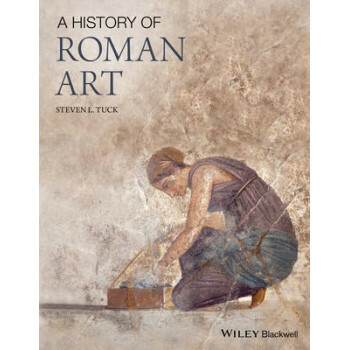 Incorporating the most up-to-date information available on the topic, this new textbook explores the creation, use, and meaning of art in the Roman world. * Extensively illustrated with 375 color photographs and line drawings * Broadly defines Roman art to include the various cultures that contributed to the Roman system * Focuses throughout on the overarching themes of Rome?s cultural inclusiveness and art?s important role in promoting Roman values * Discusses a wide range of Roman painting, mosaic, sculpture, and decorative arts, as well as architecture and associated sculptures within the cultural contexts they were created and developed * Offers helpful and instructive pedagogical features for students, such as timelines; key terms defined in margins; a glossary; sidebars with key lessons and explanatory material on artistic technique, stories, and ancient authors; textboxes on art and literature, art from the provinces, and important scholarly perspectives; and primary sources in translation * A book companion website is available at www. wiley.com/go/romanart with the following resources: PowerPoint slides, glossary, and timeline Steven Tuck is the 2014 recipient of the American Archaeological Association's Excellence in Undergraduate Teaching Award.